WC doesn’t often read about his friends in foreign newspapers. But WC’s friend, host of KUAC’s “Funk Roots” and fellow lawyer Ray Funk is in the news. WC sets out here an article from the Trinidad Guardian. Trinidad and Tobago is an island nation off the Carribean coast of Venezuela. WC has modified the article only to provide translation and interpretation of some of the terms and abbreviations. Ray Funk has become well-known to and loved by the people of T&T [Trinidad & Tobago] through his keen interest in calypso and Carnival. An annual Carnival visitor to T&T, after this year’s visit he took time out to update the T&T Guardian on the projects he’s working on these days, one of which is a collaboration with calypsonian Chalkdust (Dr Hollis Liverpool), with whom he has worked in the past. “Chalkie and I do a number of things,” Funk said. “Whenever I am in town I am a guest lecturer for his Carnival studies classes at UTT [University of Trinidad and Tobago]. We did a couple joint events, educational entertainments I called ‘D Dust and the Judge present.’ We did ones on cricket calypsoes and independence calypsoes—both several years ago. In addition, Chalkdust is starting work on the second volume of his book Rituals of Resistance, to cover the first 50 years of statehood, and Funk will be a research assistant on it. Soon after he arrived for Carnival this year, he had a very successful showing of early calypso, pan and mas film clips at the National Library in Port-of-Spain. 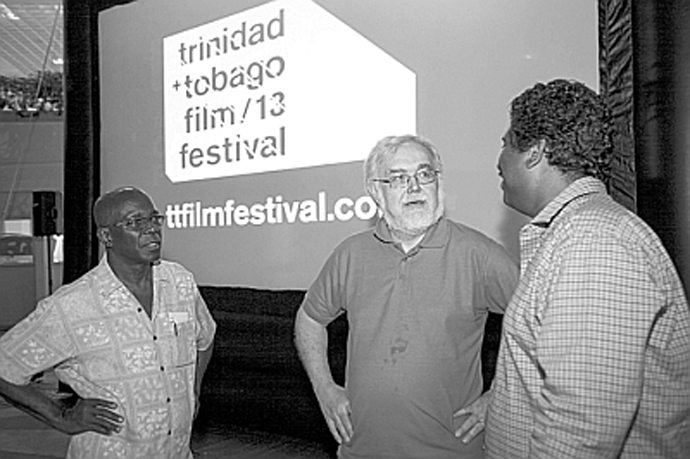 “That was sponsored by the T&T Film Festival, and was a wonderful free event where everybody seemed to have a good time,” he recalled. “One of the things I have been researching is what films and TV shows have early appearances of calypso, pan and mas. This is an ongoing effort. Funk is also working on a steelband project, the history of the Northern Illinois University Steelband, which is celebrating its 40th anniversary this year. 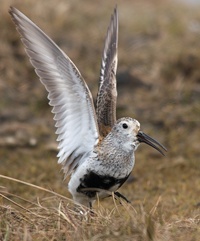 “This unique programme is, in my opinion, certainly one of great interest. Northern Illinois University has one of the best steelbands in the US, led by Liam Teague and Cliff Alexis. “I am headed to Illinois in April to their spring concert and a recital by Teague which features a number of premieres of commissions of new compositions for pan in various settings. “Andrew Martin, who did his dissertation on pan [steelpan] in America, and Dr Jeanine Remy, who got her degree from NIU, and I are working together on this. “I believe that Liam and Cliff are two of the geniuses of pan and they have shaped this into an amazing programme. “Al O’Connor, who started the programme, showed amazing dedication to bring pan into American universities, and his vision not only created a great programme at NIU, but led the way in the development of pan programmes in American colleges and universities. How and why did a judge from Alaska decide to devote so much of his time and energy to T&T, its music, and its Carnival? “Coming to Trinidad and doing research on Trinidad culture creates a needed balance in my life,” answered Funk. “My professional life as a lawyer and judge has been so much about the sadness of nice people who do stupid and bad things when drinking that cause others injury and themselves serious misery. A retired trial court judge from Fairbanks, Alaska, Funk has been researching vernacular music for over 25 years. Initially, his focus was on African-American vocal harmony and gospel singing. He has written liner notes for over 50 re-issued albums, as well as giving lectures and writing papers on that subject. He has also researched film and television footage of traditional American music and was a footage consultant to the public television series American Roots Music, as well as for over a dozen other documentaries films. He has an online newsletter, has written for all three daily newspapers in this country, and was the co-curator of a travelling and online exhibit called Calypso: A World Music, with the Historical Museum of Southern Florida. Ray is a treasure. Spending an afternoon with him over Thai food and talking pan and calypso is one of my favorite things. His knowledge and passion for the subject is unrivaled, as is his grace in sharing that same knowledge and passion with anyone interested enough to ask.